Eliminate Full Price: Mailbox Monday - I won a Danby drink fridge worth $229 from Tostitos Battle for the Bowl Instant Win Game! 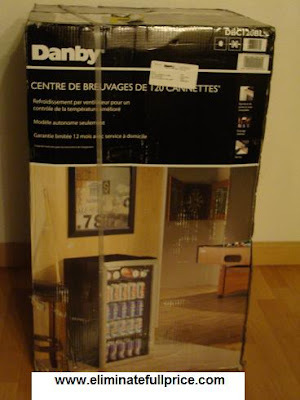 Mailbox Monday - I won a Danby drink fridge worth $229 from Tostitos Battle for the Bowl Instant Win Game! I received a HUGE surprise in the mail this past week. On the evening of November 30th, I heard a trunk pull up near my house followed by a cart rolling up a driveway. I thought it was my neighbors moving in next door. Then there was a knock at the door. My mom yelled, "WHO IS IT?" since it was late and we weren't expecting anyone. The man yelled back, "UPS." My mom was skeptical but she peeked through the window and saw the UPS man there. I thought he was just going to drop off a small prize I won from Allure but after he made my mom sign, I thought hmm, maybe it's something else. The UPS man then handed my mom a small box and then I heard him grunt as he brought in a HUGE box. My mom was wondering what it was the UPS man had just delivered. When I got a good look at it, I saw it was a Danby Beverage Center which is basically a mini fridge for drinks. On the top, was an address label that had my name on it. I told my mom I didn't order this. Then when I looked on the side there was a sticker that said Tostitos. I enter so many contests so I assumed it was a prize I won. My assumption was right. I searched online and found that the Danby Beverage Center was from the Tostitos Battle for the Bowl Instant Win Game. Now I have a home for all the Sobe water drinks I won! This will definitely come in handy during the summer. I always have to hide my water or soda in the kitchen fridge because my cousins will steal them. At least now I can chill my drinks without having to worry about that. 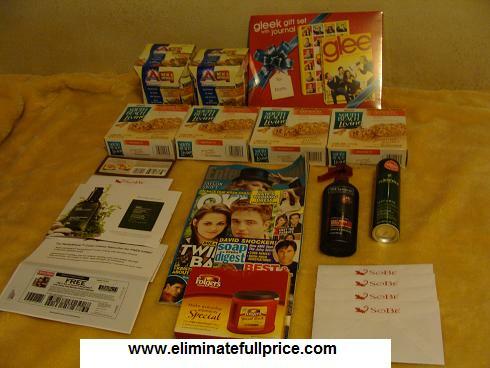 -Amazon order: 4 boxes of South Beach Living Peanut Butter Bars (each box has 5 bars inside), 2 packages of Atkins Ready to Drink Cafe Caramel Shakes (each package has 4 shakes), and 1 battery for my digital camera. -4 Sobe coupons that expired 11/30/10 :( I won them from Sobe's Instant Win Game. I'll have to call to get replacement coupons. Oh WOW! You had an EXCELLENT week! What a great surprise! You had the best week! congrats on the win! lots of other awesome stuff too this past week.